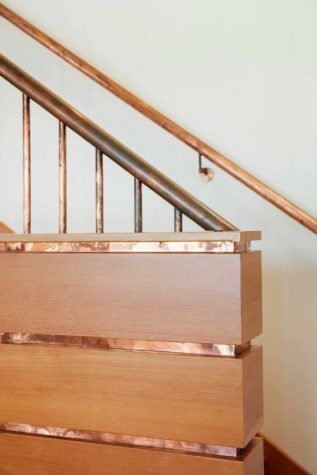 The staircases often found in century-old homes can be characterized by two words: steep and narrow. Thankfully, those elements have become a thing of the past. 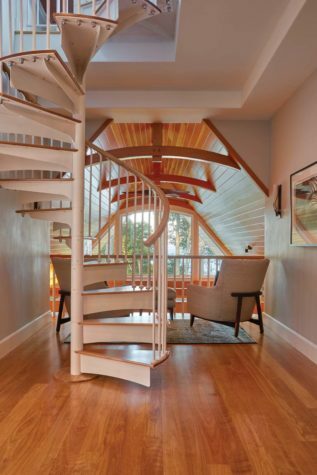 Modern staircases have surpassed tradi- tion to become much more architectural and artistic. 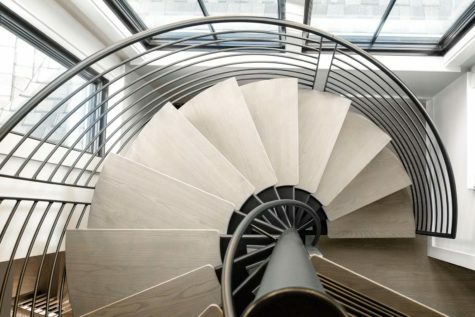 Whether they’re spiral, straight, curved, half-turned or quarter-turned, with or without a series of landings, stairs are becoming statement pieces. 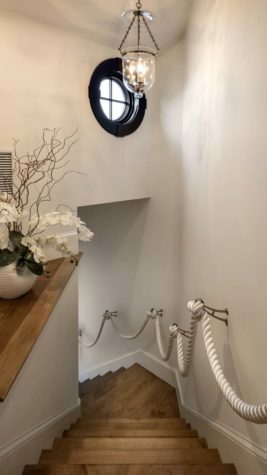 No longer are they used simply to get from point A to point B.
Staircases may be customized with floating treads, or to have intricate, hand-turned balusters and newels. 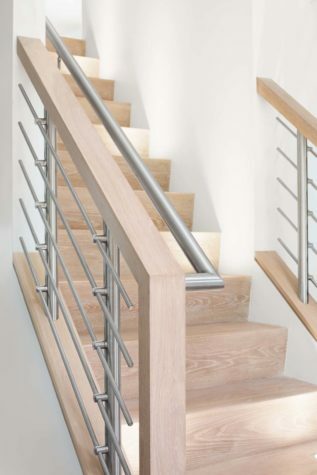 For a more contemporary option, using glass railings in place of traditional wood provides a sleeker look. 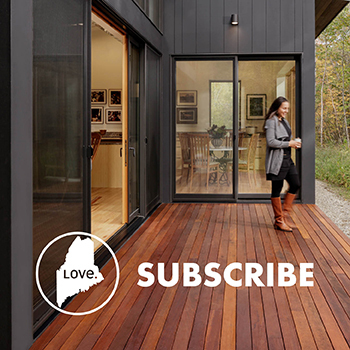 Although not pictured here, painting staircase risers to depict an image or to create an ombré effect has been trending. 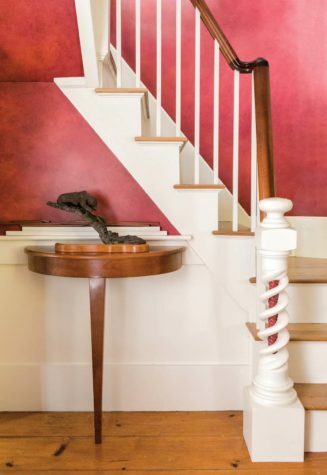 House shape, style, and materials will dictate the overall appearance of a staircase, but updates and details can easily be added through balusters and handrails. 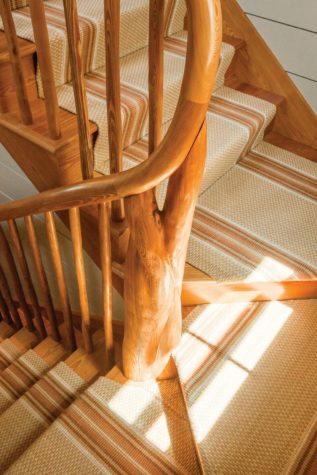 For staircases that feel too cold or slippery, adding a decorative carpet runner affords a simple style update with an added comfort bonus. 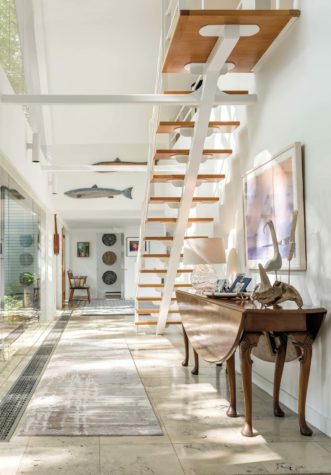 At first, designing a dream staircase can feel daunting, but step-by-step, the dream is achievable.